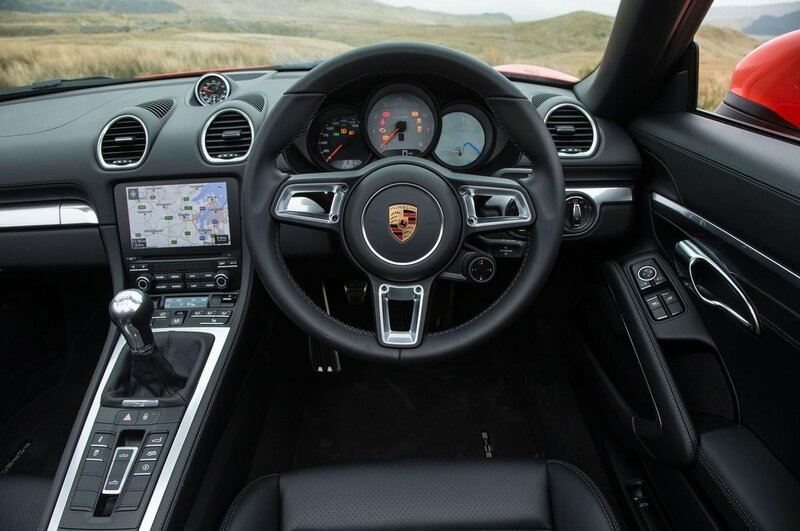 Porsche 718 Boxster Interior, Sat Nav, Dashboard | What Car? The amount of electric adjustment to the driver’s seat in your 718 Boxster will depend on how much you're willing to pay. The standard seats come with a handle for manually sliding the seat back and forth and a button for electrically adjusting the angle of the backrest. You can add optional 14-way electric seats or sports seats, but all versions offer a good level of support and hold you firmly in place when cornering. Adding the optional Sports Seats Plus, or the race-style sports bucket seats, isn’t really necessary unless you plan to take your Boxster on track. The pedals are perfectly positioned and the upright dashboard is where you’ll find all the buttons and switches for controlling the major functions. It can be a little confusing at first, but once you’ve learned to navigate the controls it is easy enough to use, even when you’re on the move. 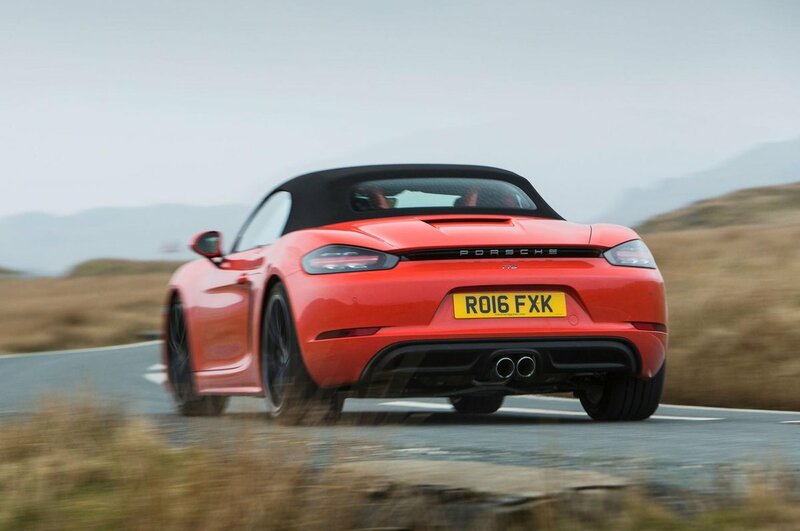 Roadsters are notoriously hard to see out of, with thick pillars, small rear windows and a low driving position, but the Boxster is better than most. It’s easy to judge the width of the car, and while the rear screen is narrow it still gives a good view of what’s behind. Parking sensors are available as an option, with the choice of either reversing sensors, all-round sensors or a pack that includes a colour camera mounted in the boot. The side windows are slightly narrow, so the Boxster can feel a bit claustrophobic with the roof up. At night, the standard bi-xenon headlights offer decent illumination. You can upgrade these to versions that follow the direction of steering to help you see through bends, or you can go a stage further and opt for the even brighter adaptive LED headlights. As standard, you get a relatively crisp-looking 7.0in touchscreen, complete with Bluetooth, a DAB radio and sat-nav. It also comes equipped with Apple CarPlay, so you can mirror your iPhone to the screen, and if you subscribe to a data package you can also make use of on-board wi-fi and music streaming. The touchscreen is within easy reach, quick to respond to your inputs and the menus are reasonably logically laid out, with shortcut buttons to help you find each major function. However, some rivals' systems are better; the Audi TT's MMI, for instance, is easier to operate on the move, thanks to its rotary-dial controller. 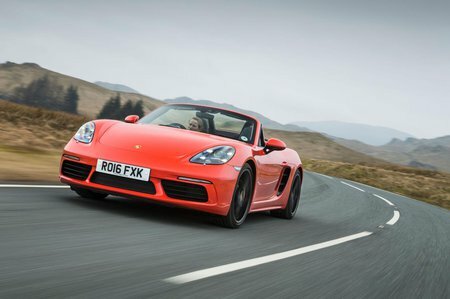 Porsche has a reputation for luxurious interiors and, although it is one of the cheapest cars in the brand’s line-up, the Boxster doesn’t let the side down. As standard, you get solid, high-quality switchgear and well-damped buttons. Everything feels like it has been tightly screwed together and almost everything you touch in the interior is covered in dense, soft-touch materials. Full leather seats will cost you extra, though. Spend a little extra and you can have a leather-covered dash and door panels, or pay even more for Alcantara or wood finishes. Even without these fripperies, though, the Boxster exudes quality and feels more special to sit in than cheaper rivals such as the BMW Z4 and Mercedes-Benz SLC. Only the TT feels classier inside.